Over the past two decades, Elektron has become a hallowed name among the synthesis cognoscenti. 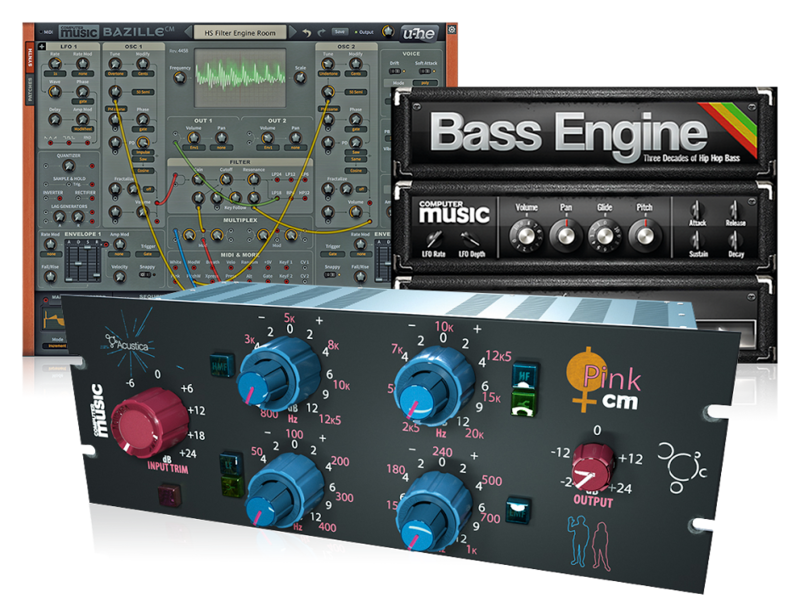 Its quirky-yet-capable groove boxes has earned it no small amount of praise by some of the most successful electronic artists on the planet. Many of its instruments are now seen as classics, and its approach to sequencing has had a big impact on modern music. Though the company itself has made valiant efforts to integrate hardware and software, many musicians have looked to Elektron’s powerful products as a means to escape the confines of the desktop DAW. Ironically, Elektron got its start by literally getting the sound out of the computer. It all started in 1997 when three students at Chalmers University of Technology in Gothenberg, Sweden were given a mandatory assignment for their computer science program. Not excited by the projects suggested, Daniel Hansson, Anders Gärder and Mikael Räim decided to build a hardware synth around the SID chip found in the old Commodore 64 computer. The result of their labours was the SidStation, the original run of which numbered a whopping ten units. Realising they had a viable product on their hands, the trio secured university backing to help start a company. 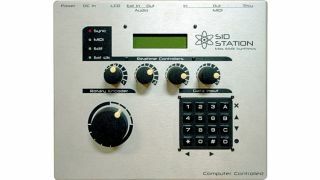 The very definition of a boutique instrument, the SidStation could only be produced in finite numbers - depending on how many of the original SID chips could be obtained at any given time. As a result, production went through various editions and price points, depending on demand. What could a proud SidStation owner expect to get for their money? A keen analogue/digital hybrid in a slab of silver designed as a desktop module. The legendary Elektron sequencer had not yet come into play - this was a MIDI module, pure and simple. A SidStation voice consisted of three oscillators, each capable of producing one of five waveforms: triangle, noise, saw, pulse, and mixed. Oscillators could modulate one another, synced, transposed, delayed, detuned, and subjected to pulse-width modulation. Wavescanning provided some PPG-like timbres. A multimode, resonant filter was provided, as were four envelope generators and LFOs. It should go without saying that a SidStation is an excellent source of chiptune patches, but it also makes a fine resource for gritty leads and grumpy basses. Alas, the company eventually ran out of SID chips and production came to an end in 2006. A facsimile of the SID sound would then live on in the later Monomachine, alongside a number of other quite unashamedly digital oscillators. Despite their limited numbers, secondhand prices hover around what the unit cost when it was new - it has yet to achieve vintage collectors’ status, despite having reached its second decade. There are, of course, many ways for someone to achieve SID-like sounds on a computer, but if you should stumble upon a SidStation for a good price, it’s definitely worth checking out. In 1998, the SidStation made it quite clear that they were headed for great things; and in 2018, Elektron is celebrating its 20th year. The boffins at Plogue love their chiptunes! Few developers would devote four years to researching a comprehensive catalogue of classic computer and game sound chips. Plogue did, and stuffed the results into Chipsounds, a cross-platform synth that collects 14 circuit-level sound chip emulations, including a model of the venerable SID. Developer of wicked Windows plugs, de la Mancha bring you Basic 65, a monophonic plugin inspired by the Commodore 64. In addition to the classic three-oscillator design of the original, basic 65 provides simulated low-res grit, tempo-synced LFOs and a pair of arpeggiators. It’s a bit long in the tooth, but it’s still a blast to play. The quickest, easiest way to have a play with a SID synth clone is to click the URL below, whereupon you will be greeted with a browser-based synth offering SID-based sounds, envelope, filter (with a dedicated LFO), built-in echo and a rudimentary drum sequencer. No more excuses for being bored at the office!